Pericardial Mesothelioma is a rare form of mesothelioma. Mesothelioma is a rare cancer difficult to diagnose. It is estimated that pericardial mesothelioma is 0.7% of all cases of mesothelioma. In the U.S. of the approximately 3,000 cases of mesothelioma diagnosed, there are an estimated 1-2 cases a year. Although very rare, the diagnosis of primary pericardial mesothelioma, is the leading cause of primary malignant pericardial tumors. There are case reports in the literature from 1957 of reports of patients with pericardial mesothelioma. The number of patients that are diagnosed is small. The small number of patients that have been affected makes studying this condition a challenge. Case reports in the literature over the past 20 years have reported on the course of treatment of specific patients. A recent article in the Journal of Clinical Oncology, published in January of 2017, reviewing the literature from 2000 to 2016 reported on a total of 103 patients that had been diagnosed and treated. The symptoms of pericardial mesothelioma are a cough, dyspnea, chest pain. The patient can also have fever, night sweats, weight loss and generalized weakness. All of these symptoms are found in conditions that are common to other diseases. As the disease progresses it can directly invade nearby structures and cause a compression of vital mediastinal structures. The disease comes from the pericardial mesothelioma cell layers. The cell types that have been reported are epithelial, spindle cell, and mixed. Treatment has been individualized, as with pleural and peritoneal mesothelioma, multimodality therapy has been tried. There is no consensus on treatment. Surgery has played a role. The surgical procedures that have been used include removal of the tumor if possible. Pericardial window, is used to relieve the symptoms of constrictive cardiac mesothelioma. Chemotherapy has been tried after surgery. Radiation therapy has not been found to be successful with this condition. The goal of treatment has been to remove all the tumor and to relieve the symptoms to improve the quality of life of the patient. Occurrences: Recent reports have the average age at diagnosis was 55, with an age range of 19 to 87. The percent of males affected has been 61% while 39% of females. Causes: Presumed exposure to asbestos has been reported in some case studies. The prognosis for pericardial mesothelioma once diagnosed can be six weeks to 15 months. Recent case reports have reported some individual patients surviving longer. One report in the literature from 2014, a 59-year-old woman, had surgery for primary malignant pericardial mesothelioma, epithelial type, and lived for almost 3 years, without symptoms, before she died. Treatment is varied depending on cell types and health of the patient. Patients that underwent surgery to resect their tumor had a longer survival time than patients that had a pericardectomy to relieve the symptoms. Chemotherapy with Pemetrexed or Cisplatin was also identified as contributing to longer survival time. Exposure to asbestos has been reported in patients with primary pericardial mesothelioma. In a study done in the Lombardy region of Northern Italy, published in 2011, investigators found 8 cases of pericardial mesothelioma, over 9 years. Of the 8 cases of pericardial mesothelioma 6 were men and 2 women. The average age was 55.5. Of these 8 patients, they were able to research the back grounds of 7 of the 8- of those 7 there was documented occupational asbestos exposure. Primary pericardial mesothelioma is a very rare form of mesothelioma. The symptoms are common, diagnosis is difficult. Only 25% of primary pericardial mesothelioma is made before the patient dies. The remaining 75% are confirmed on autopsy. Treatment options are limited. The importance of being treated in a mesothelioma center for the best treatment options is strongly encouraged. 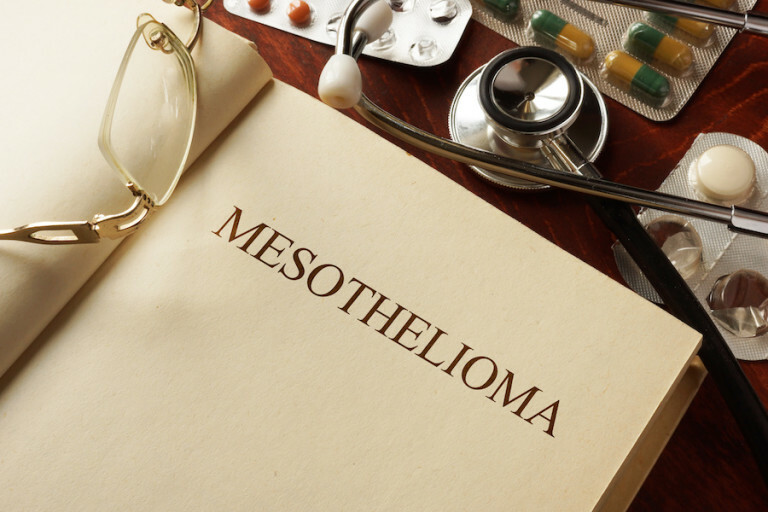 Due to the rarity of this disease it is imperative for the patient to get to an experienced mesothelioma center, with experts in the field for the latest treatments to optimize their outcome.